The Taneyhills Library Garden was a bare landscape. 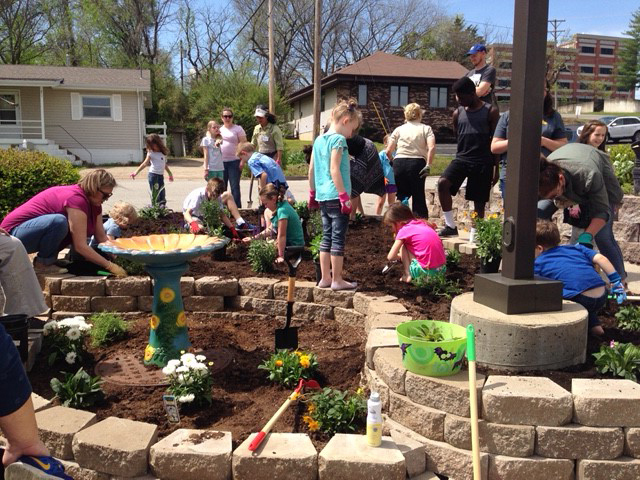 With a grant from the Master Gardeners of the Ozarks and donations from supporters of the library, new gardens were established. 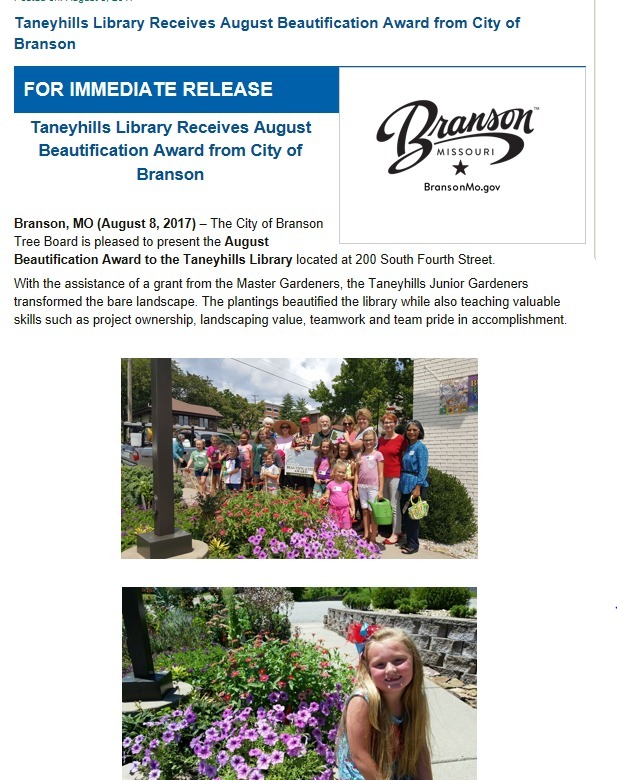 One of the Master Gardeners and a Library board member helped establish the Taneyhills Junior Gardeners. The Junior Gardeners helped beautify the library grounds while learning valued skills such as project ownership, landscaping value, teamwork, and team pride in accomplishments.